On Wednesday 30 August, the BCMM Executive Mayor Xola Pakati visited two areas in the City for two contrasting purposes. 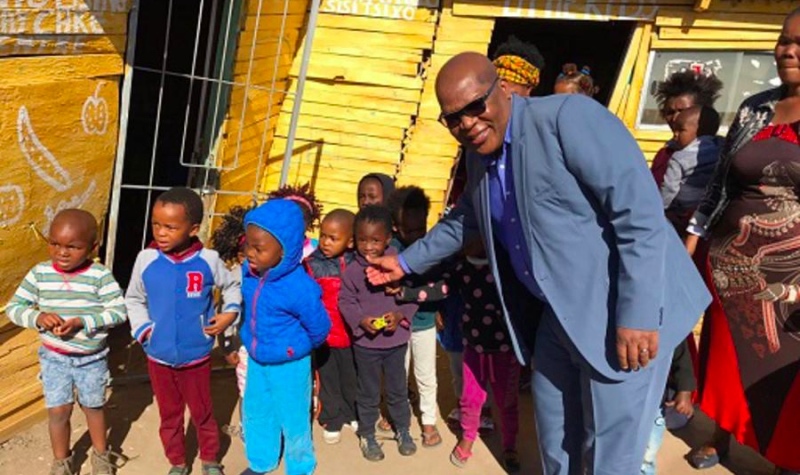 In the morning, from 09h00 and 09h30, Executive Mayor was in Duncan Village C-Section visiting a crèche which is one of the recipients of a R1,4 million Grants-In-Aid fund that has been allocated to various charities in the City. The Little Kids Centre is one of the 271 organizations that applied for the Buffalo City Metro Municipality Grants-In-Aid for assistance to enhance growth of community development. The fund is an initiative done by the Metro to provide grants to non-political and non- profit making organizations to help support and improve BCMM communities. A total of R1,4 million budget has been set aside for the selected organizations across the Metro that deal with child and youth centers, HIV/Aids centers, social and welfare organisations, home-based centers, early childhood development centers, arts and culture organizations, disabled and old age centers, support groups, alcohol and drug centers. Thereafter he joined and addressed the rest of the beneficiaries at the East London City Hall received their allocation which ranges between R10 000 and R30 000. After the event: The Executive Mayor together with the Speaker of Council, Councilor Alfred Mtsi, visited the Reeston area in Dice at 2 pm where people were killed last week and a Councillor was subsequently arrested. The Buffalo City Municipality leadership have come out strongly condemning the acts that have led to violence and loss of life. This was a courtesy visit to the families and local leadership of the area.